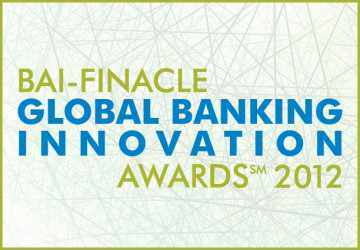 BAI and Infosys recently announced the winners of the prestigious BAI 2012 – Finacle Global Banking Innovation Awards. The award, only in its second year awards the most innovative banks in the world at a ceremony at BAI Retail Delivery 2012 in Washington D.C. The winners were chosen from over 150 entries from 30 countries around the world. The award focuses on breakthrough innovations that promote positive change with the bank and their customers. The winners were selected by the Innovation Circle Judging Panel, a third-party board that is composed of industry leaders and professionals. The award was given for FRANK, an approach that addresses the different ways the younger generation connect and transact with banks and other financial institutions. FRANK branches are designed for clients who are between the ages of 18 and 28 and are located in school campuses and malls. The branches usually have a casual ambiance with popular music playing in the background and touch screen terminals where customers can shop and apply for their FRANK debit or credit cards. The bank introduced the ‘Globally First Ever’ Banking Platform on Facebook that allows users to check on their bank accounts, send money, enroll in loans and credit cards on the social networking website. Alior Sync, a virtual bank that offers full banking services to customers using a virtual platform. The platform targets customers aged 20 and 35. It eases communication and facilitation of banking processes and allows a fully online credit process. True to the banks innovative culture, it launched ‘Innovators’ an internal competition which fosters innovation by encouraging entire departments to think of new ways on how to improve bank processes and customer relations.